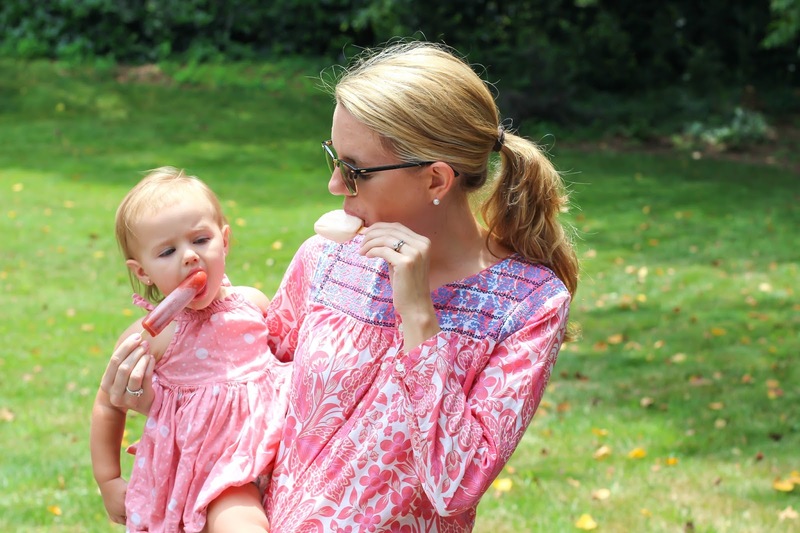 Okay maybe it’s the pregnancy thing, but this summer has been the summer of snacking for me. I’m loving fruity treats and with how hot it’s been in Atlanta lately I’m needing my fruity treats to be in the frozen form to help cool me and Maddie Grace off on the scorcher days where she wants to be outside the entire time. One thing I’m also being very conscious of is ensuring I consume enough protein – as it both curbs nausea and is extra good for those of us growing human beings. That’s why I was thrilled to discover Outshine Simply Yogurt Bars. 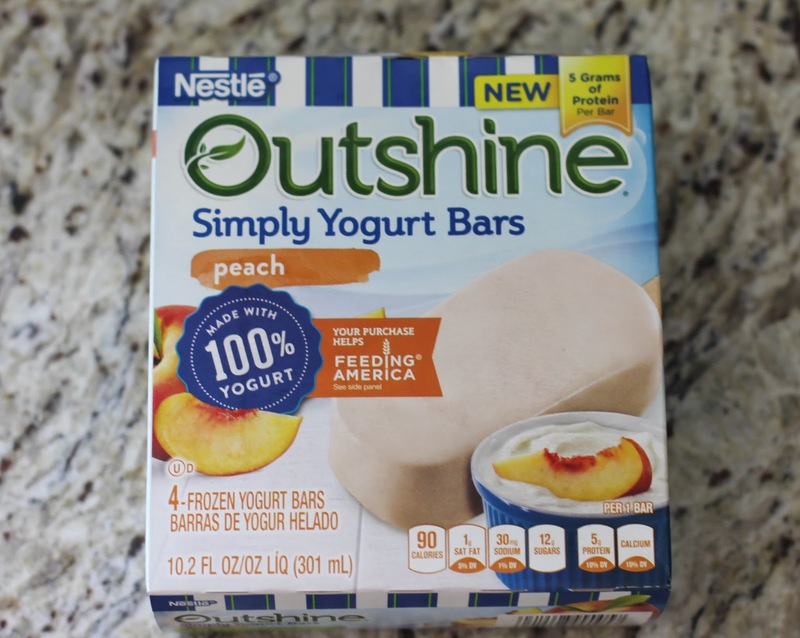 I love the variety of flavors of Outshine Bars but these Simply Yogurt Bars are easily my favorite. They are creamy, full of flavor, have 5 grams of protein, and just the perfect summer treat! I also enjoyed the Strawberry Fruit Bars, Coconut Water Bars, and Fruit and Veggie ones. 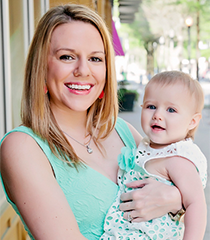 I love that Outshine bars give me an easy way to trick Maddie Grace into eating more fruits and veggies! Outshine has been making delicious, frozen fruit bars for 18 years so they definitely know what they are doing. These snacks are a great way to feel good in this summer heat and a refreshing way to shine brighter! 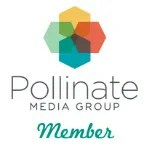 savings, take the snacking quiz at http://cbi.as/ev9v. I feel good about buying Outshine bars because they are committed to feeding America by providing fresh fruits and veggies to communities in need. 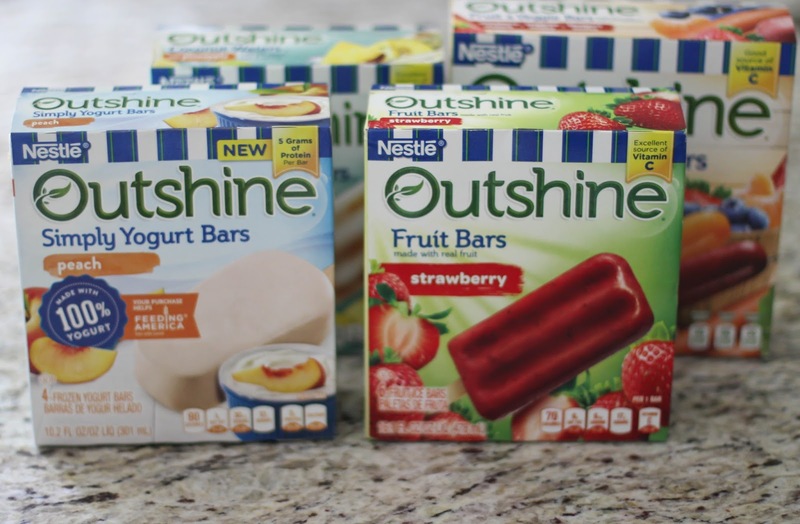 For the entire month of July every specially marked box of Outshine Simply Yogurt Bars helps get 1 lb* of fresh fruits and veggies donated to a local food bank. *50k lb cap. I found all these Outshine flavors in the frozen section of Walmart! « Red, White, Blue, and…. Baby #2! Those are my fave summer snack too. I've never tried the yogurt. Maybe I will this week. Nothing better than a popsicle on a hot day. Yum! Nice—I just saw a commercial for these and I almost went out to buy some right then and there. 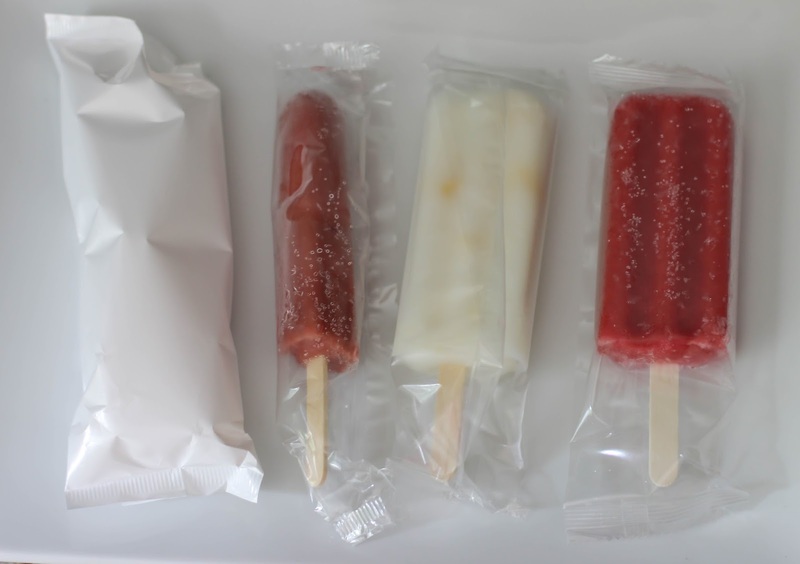 I make popsicles from scratch and I almost always use greek yogurt as a base (I love being "sneaky" with getting my daughter to eat a treat)! I've never heard of these before, but I'm totally looking for them next time at the store! These look really good, especially the yogurt ones. I will have to try these out since my husband and i are trying to lose weight. They also look like something healthy to give my son as a snack too. Thank you for sharing!! Love the Outshine bars, raspberry is my favorite! I have not tried the yogurt ones though, I need to find those! I haven't tried raspberry! I need to!